Over the past three months, the trifling minutiae of real life have hampered my ability to add content to this site. A couple of times it looked like I’d weathered the storm, only for Events to haul themselves back out of the precipice like some badly misjudged multi-stage boss monster. 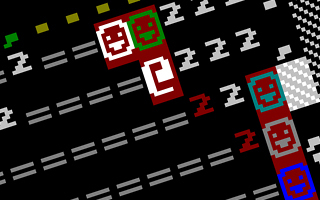 I’ve already posted a braindump about Dwarf Fortress here, but there are many other players who have explored the game more thoroughly and written about the game more passionately and knowledgeably than I could hope to. Bill Harris’s blog has over the last few weeks featured a slew of guides and stories (Dwarf Fortress is a game which generates better stories through the interplay of its meticulously detailed world than can be found in most games that involved teams of professional writers) which, along with the invaluable Wiki, should give you the information and (I’d hope) incentive to give it a go. In it’s current form, I find that the interface becomes too unwieldy once the population of the fortress approaches the half century mark. Perhaps once it’s easier to allocate jobs and query units without having to constantly pause and switch modes, I’ll be able to stick with it longer. Animal Crossing I have found to be more engrossing than I had expected (I’d not previously played the GameCube version, although I had played a bit of the exceptionally tedious Harvest Moon: A Wonderful Life). The scope for personalisation and creativity is surprisingly broad, and the presence of a goal structure (which can be completely ignored should you so wish) tends to keep me checking in every day or so and discovering new stuff in the process. Having said that, I have realised that of late I’ve been doing little more than grinding away, intensively farming delicious pears, and so probably shouldn’t berate World of Warcraft addicts so much. I’ve also been playing the new Sam & Max episode, which has led me to start playing the original game (one of the few LucasArts adventures that I didn’t play through the first time round). ‘Episode 1’ is pretty short and slight (think Half Life 2 Episode 1) but the lazy old review clichés apply: if you like adventure games, and you like the demo, you should probably get it. I was also hoping to be stuck into Company of Heroes by now, except that Microsoft and THQ’s marketing guys decided to lock out Windows 2000 users. The total lack of negative press regarding this decision (Win2k probably accounts for a couple of percent of the PC games market these days, and Vista is out Real Soon Now) suggests that they made a safe bet, but still, it’s never cool to artificially limit games just to pressure users into needless upgrades. Which moaning about Microsoft neatly segues to the fact that this site now renders correctly (or near enough to be useful) in Internet Explorer 6, reaffirming our commitment to some day reaching the basic standards of service expected from every other site on the web. I’d test it in IE7, but, well, it doesn’t support Windows 2000.